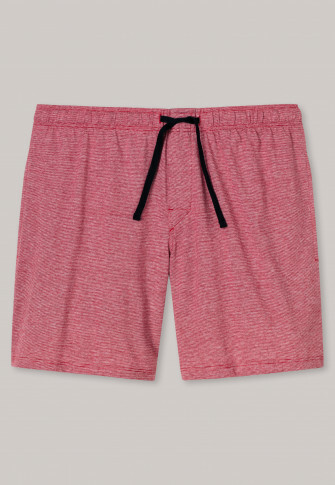 Whether for relaxing or sleeping, these red and white striped long shorts are always the right choice! 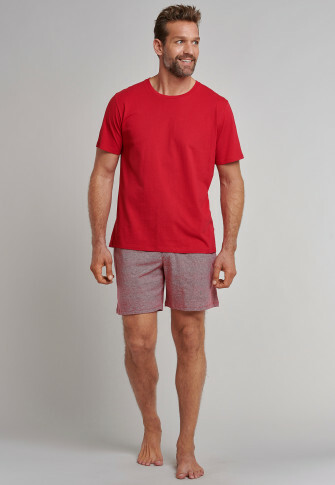 The relaxed men's bshorts from the popular Mix & Relax line impress with their soft jersey material of 100% cotton and have side pockets and a functional button placket. The dark blue drawstring at the elastic waistband is another practical detail. A relaxing basic in the best SCHIESSER quality! Also available in larger sizes!